Saturday night was a trip into central Birmingham to shoot a one day festival. Originally planned for outdoors and then recently venue changed to inside at the o2 Academy. 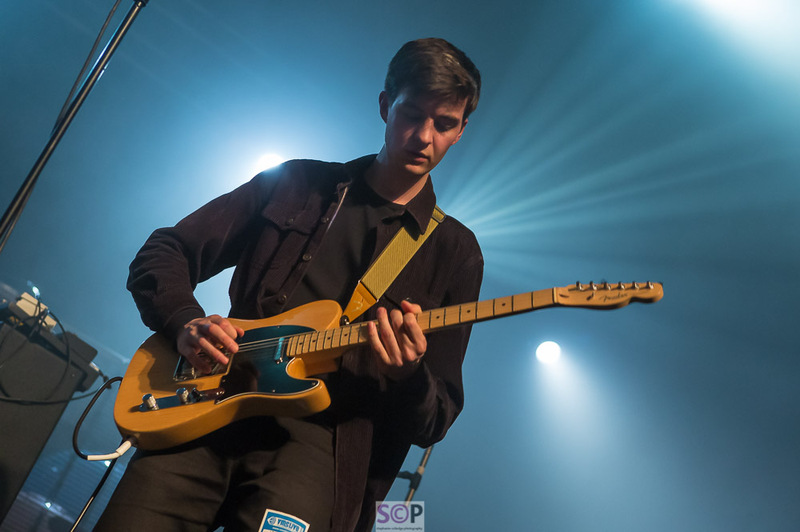 The opening bands on were local, Hoopla Blue and Amber Run the first was new to me the second the Birmingham Live team have reviewed earlier this year and liked. My original plan had been to shoot this as a festival, outdoor shots, lots of people dressed up etc, but that changed with the move to indoors, the quality of the event though was superb. The o2 Academy was great, relaxed and even offering passes out. Special guests Public Service Broadcasting were the band I missed seeing with Ian on a previous occasion and was really looking forward to. They were as good as promised, tricky to photograph as they have so much on stage equipment and a back projection which was running behind the cage for the props belonging to The Flaming Lips. Then came the riot of colour that is The Flaming Lips an experience like no other to shoot. Light, screens, colour, confetti canons, balloons so big you can't see a thing and are constantly bombarded with the bouncing, let alone shoot and its the fastest explosion of action and distraction combined. Fun - beyond belief. I knew a little about them but the reality of being in the pit, between a band so vibrant and a crowd having a party was something else. It was a relentless stream of activity and paper whirling down. I was picking confetti out of my pockets and inside my shirt and bra when I got home! 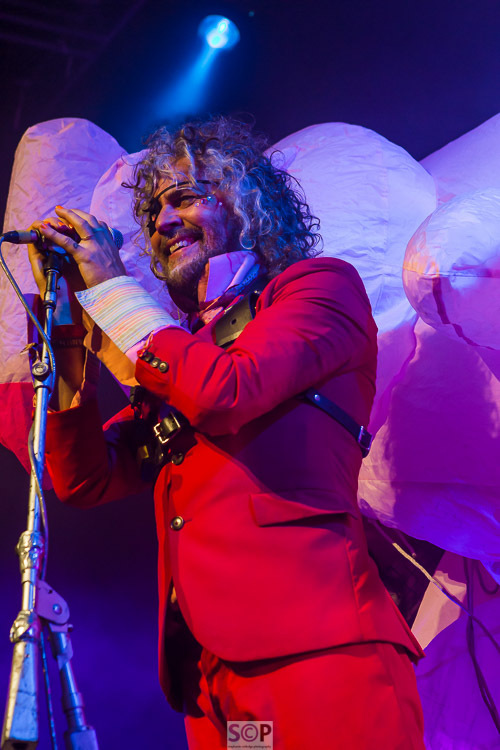 Wayne Coyne has a devilish charm - I enjoyed them so much I want to go again! 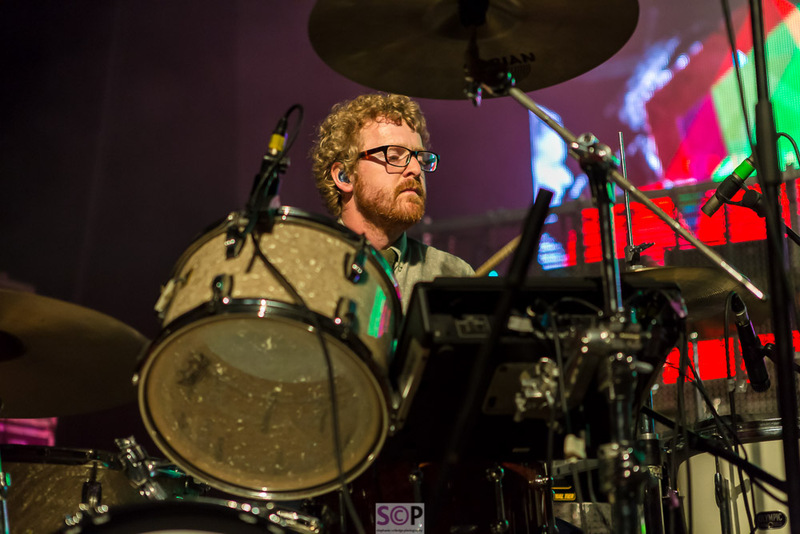 Full review by Ian on Birmingham Live with a few more images.